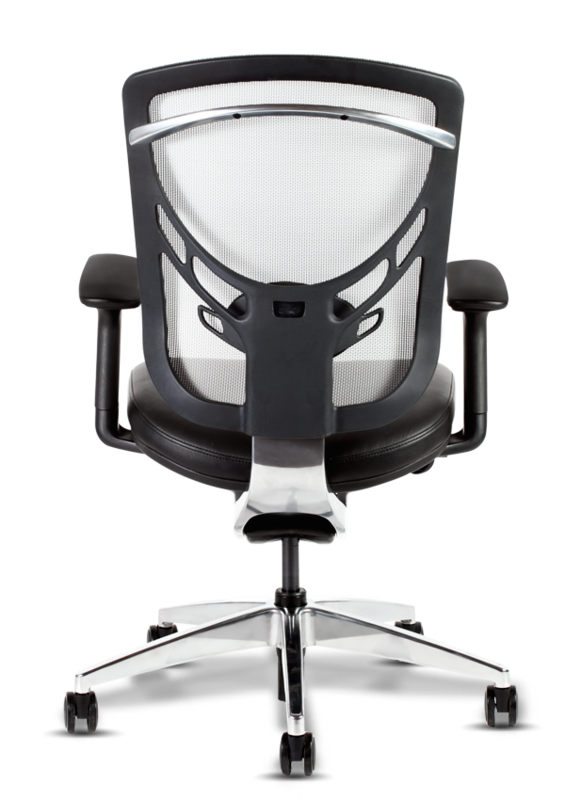 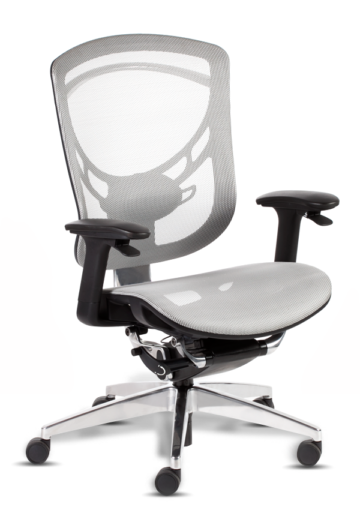 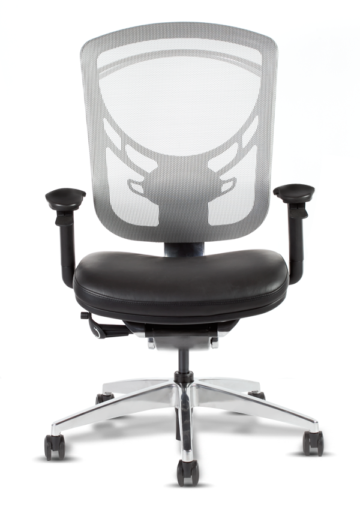 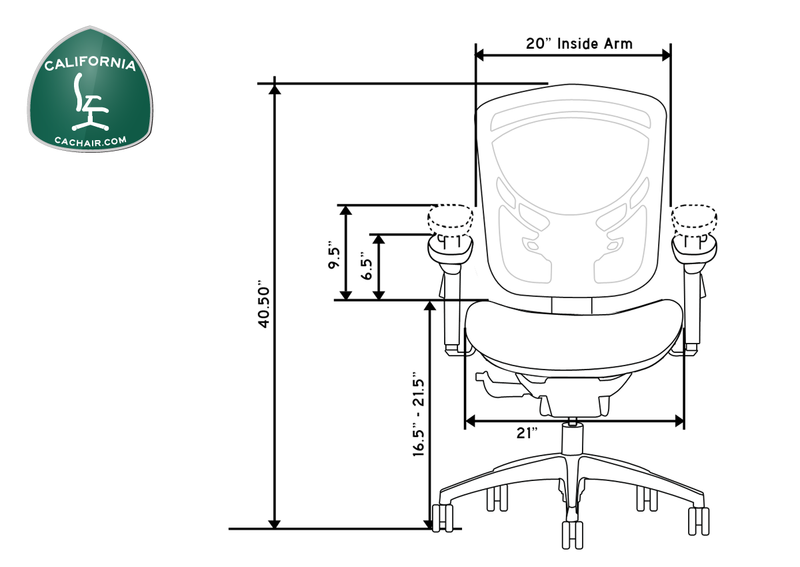 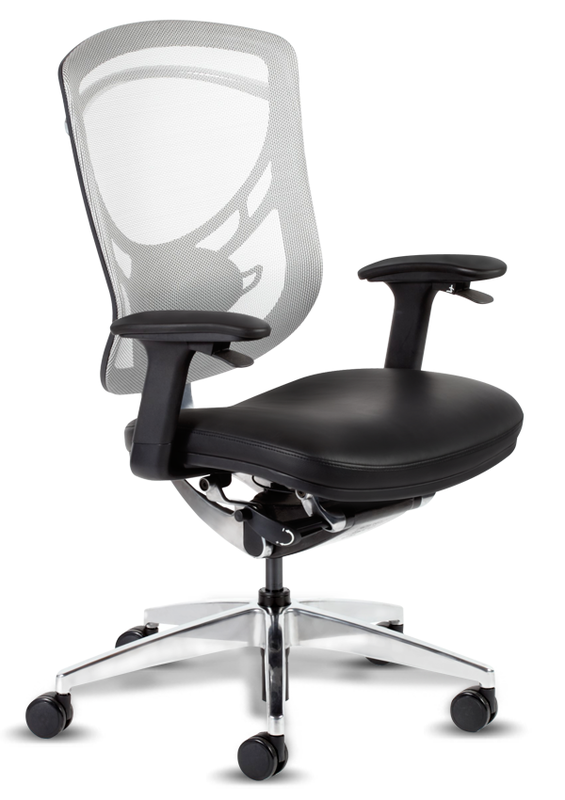 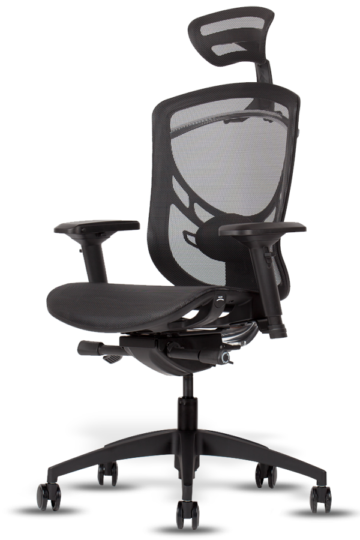 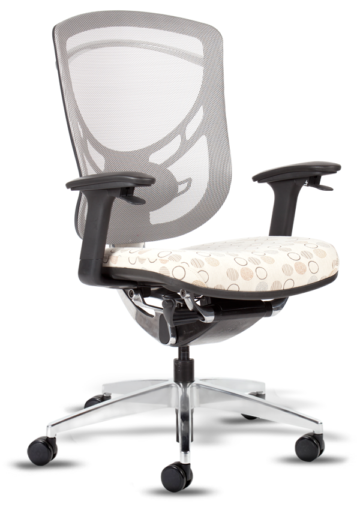 Santa Barbara is a high-performance, task chair warranted to support up to 300 pounds. 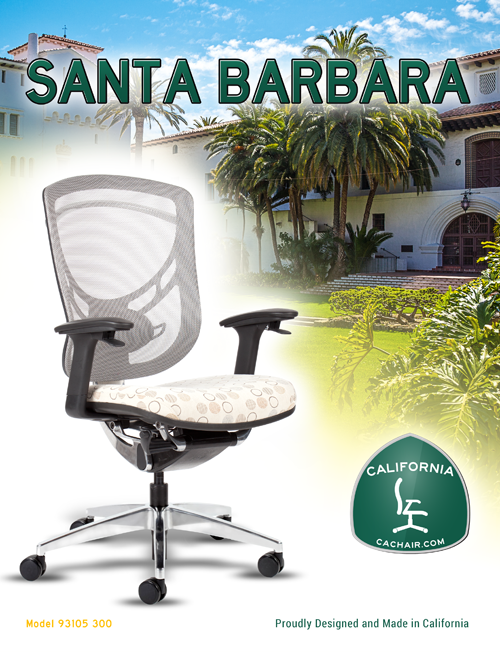 Santa Barbara is constructed with die cast aluminum and injection molded composite with high density molded foam providing full seat support. 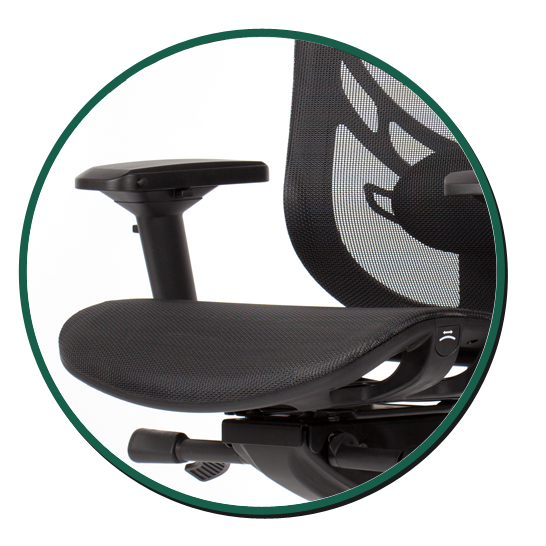 Stool version is available. 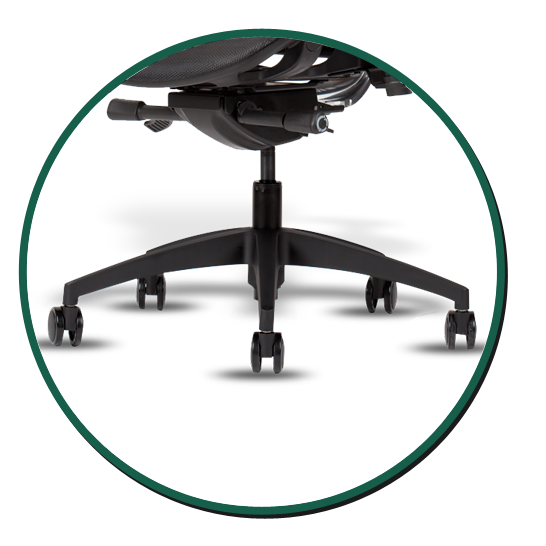 Fixed conference chair arm. Made with polished die cast aluminum with soft touch inserts. 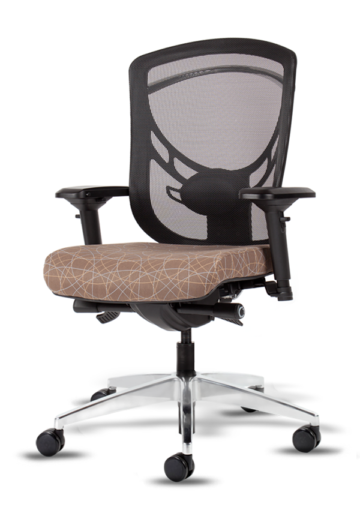 Seat option high tensile strength elastic mesh suspension. 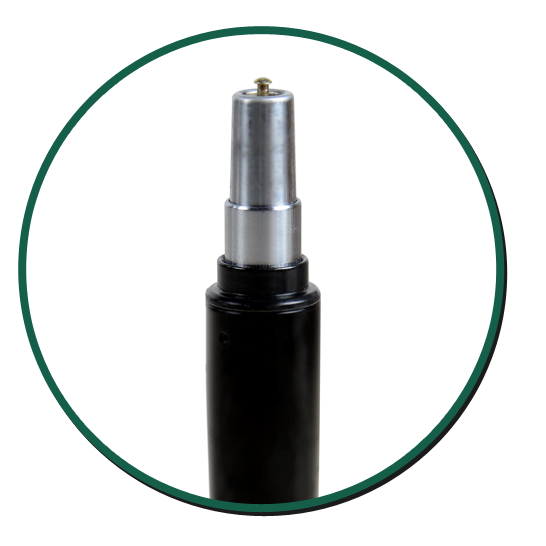 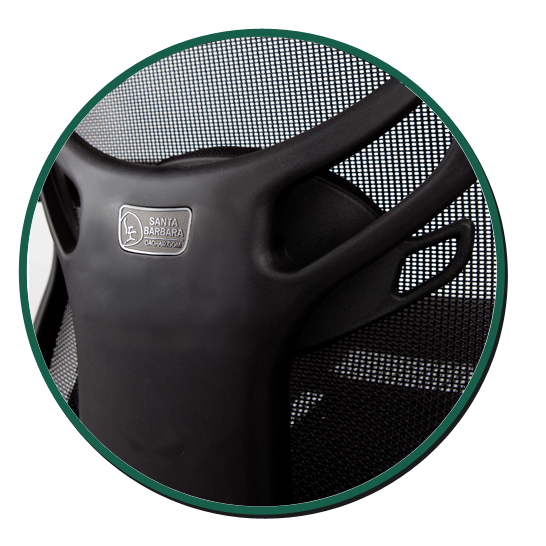 High impact inner/outer injection molded back construction with high tensile strength elastic mesh suspension. 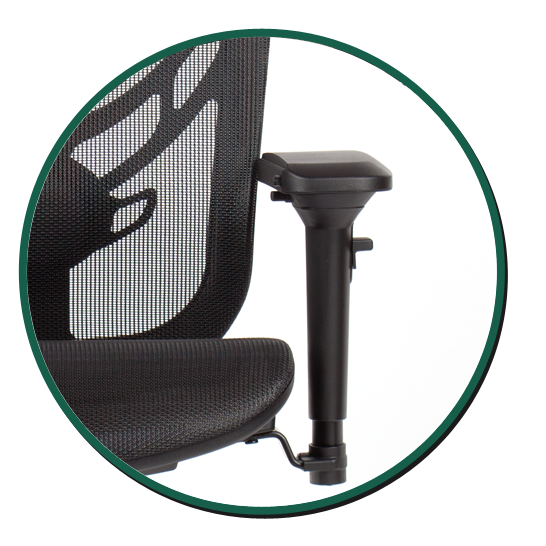 4D adjustable arms with 1045 CRS stamped steel lowering arm bracket with 3.5″ travel. 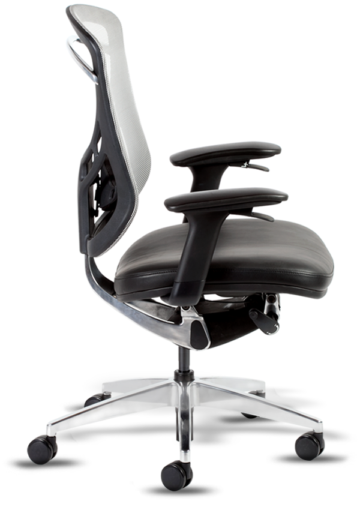 Arm adjusts up/down, in/out, forward / rearward and pivoting. 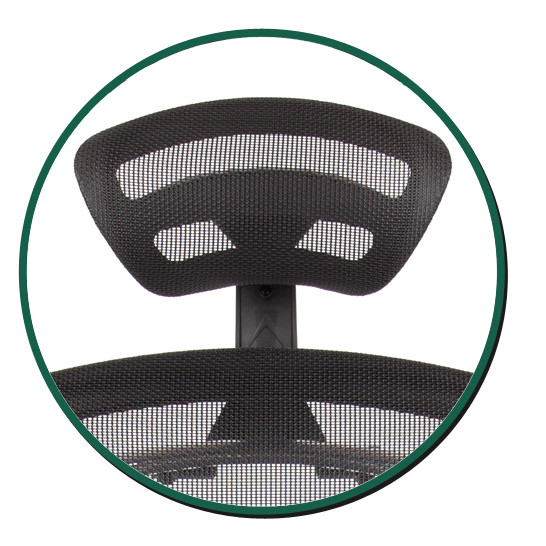 All Santa Barbara chairs have optional headrest with high tensile strength elastic mesh suspension. 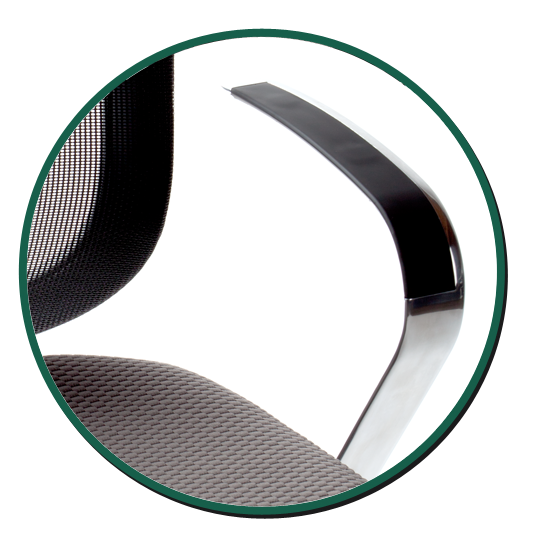 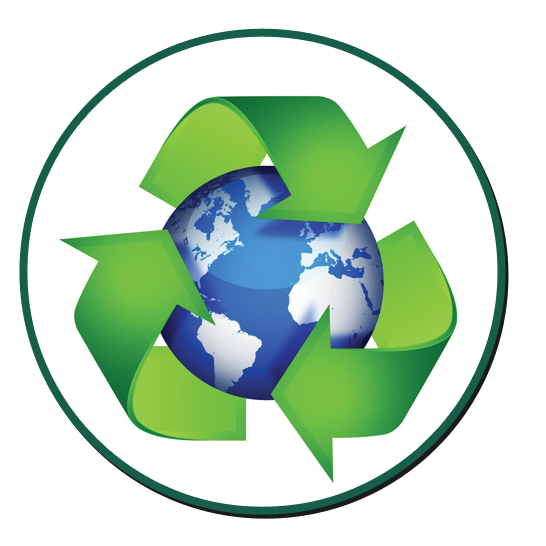 Over 96% recyclable materials are used in the 93105 chairs.